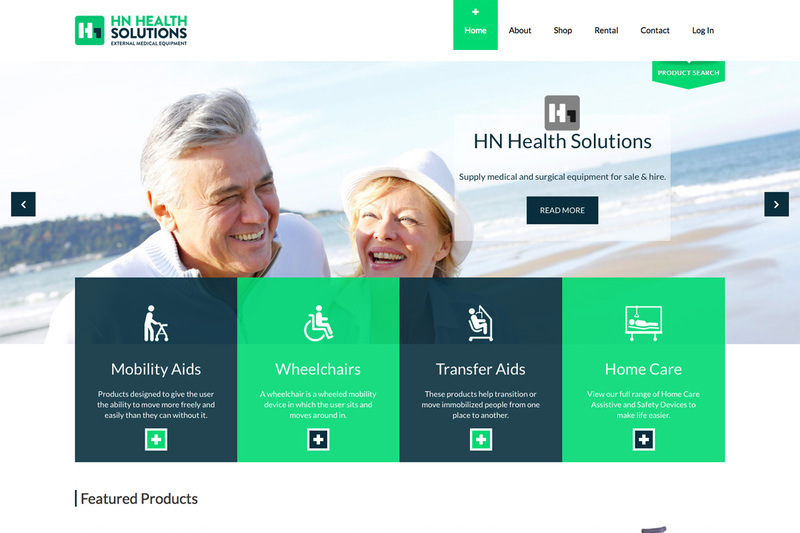 HN Health Solutions sets out to improve people's mobility, independent living ability and facilitate graceful home care through providing quality medical products. They supply a wide range of external medical equipment. This website has been a wonderful project to work on. Featuring large hero images, lots of white space and distinct colours. HN Health Solutions has a full eCommerce store with the ability to buy and rent external medical equipment easily. Greg Davies once again did amazing work with this companies corporate identity.